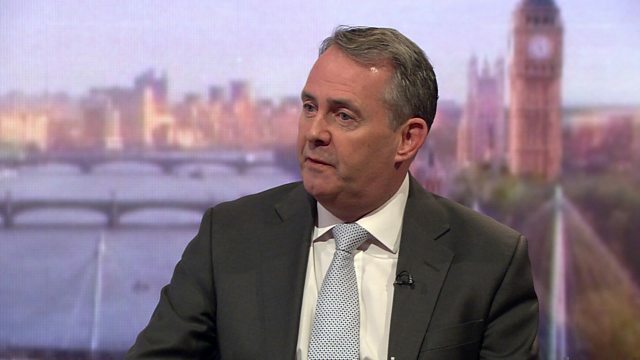 Former Defence Secretary and Vote Leave supporter Liam Fox has said the Conservatives cannot fulfil their manifesto pledge to reduce net migration to the UK to below 100,000 if the UK stays in the EU. Speaking to Andrew Marr, he said he suspects David Cameron wanted to secure the ability to cap EU migration in his EU renegotiation - but it wasn't on the table. "There is no reform to the EU. This is fantasy," he said.